Do Variations in Physiological Testosterone Affect Your Gains? 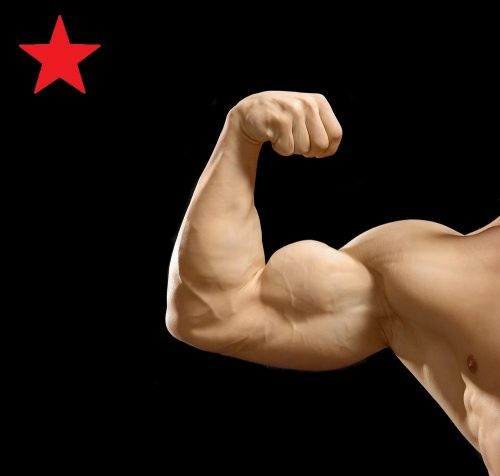 It is well established that anabolic steroid use, which involve supraphysiological doses of testosterone or related hormones, causes massive increases in muscle size, well beyond what can be obtained naturally. However, while supraphysiological doses of testosterone and testosterone derivatives will significantly enhance your gains, this doesn't tell us whether variations in testosterone within a normal physiological range can have any impact. There is quite a range of blood levels of testosterone from one man to the next. For example, in this study of 456 healthy, non-obese men between 19 and 39 years of age, here's the range of blood testosterone concentrations (measured in the morning after an overnight fast). The above study was performed on a sample of individuals from the Framingham Heart Study Generation 3. However, ranges of testosterone concentration can vary depending upon the population, and the assay used to measure testosterone. Labs also vary a lot in their reference ranges. Travison and colleagues took data from four major cohort studies, and used statistical models to establish reference ranges that could be applied across different laboratories. Here was the range of blood testosterone concentrations they established. 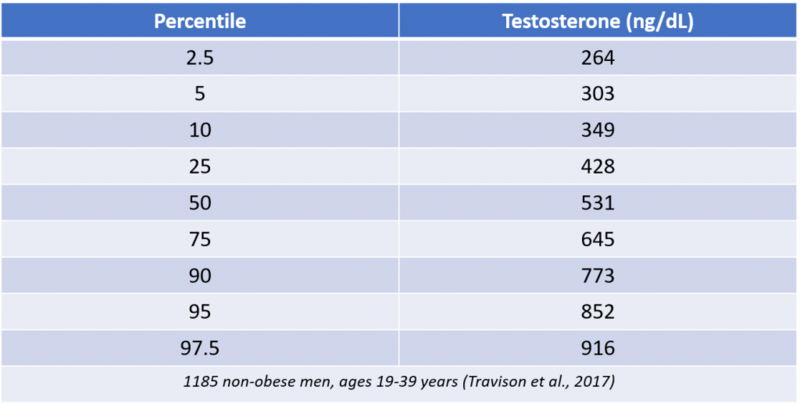 Regardless of the reference range that is used, there is no doubt that there is wide variance in testosterone levels among men, even among men that are healthy and non-obese (as obesity is associated with lower testosterone). This brings up the question of whether variations in a normal range can impact muscle gains. Does a man with naturally higher levels of testosterone build more muscle than a man with lower levels, even if both men are in a normal range? The answer to this question can have particular relevance to aging men considering testosterone replacement. And what about the women? They have testosterone in their bodies too! In this gigantinormous, 7600 word piece for the Research Review, I cover all of the science, from cross-sectional data to dose-response data, and provide answers to these questions and more. The answers have particular relevance to older men with lower testosterone levels considering testosterone therapy. This is one of the most intensely researched pieces I've written, aside from the volume and frequency bibles. Click here to read the entire article (MEMBERS ONLY).